Heather grew up in Tampa and is a graduate of H.B. Plant High School. After high school she became a “Gator” while attending the University of Florida in Gainesville. She graduated from the University of Florida with honors and stayed busy with an internship at the Ronald McDonald House of Gainesville and leadership positions in Pi Beta Phi Sorority. Heather then returned to the Tampa Bay area to attend law school at Stetson University College of Law in Gulfport. While at Stetson, Heather took her first case to trial in her third year of school as a Certified Legal Intern for the Public Defender’s Office of the 6th Judicial Circuit. 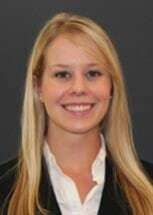 Heather also participated in the Stetson AAJ Civil Trial Competitions in which she was awarded Best Advocate in a Preliminary Round and Most Professional Team. She also earned the Doyle Conflict High Grade Award for earning the top grade in her Negotiation and Mediation class. Heather graduated from Stetson with both J.D. and M.B.A degrees, in the top one-third of her law class, with an Advocacy Certificate of Concentration and Leadership Certificate. She was the Vice President of the Florida Association of Women Lawyers at Stetson, Elections Committee Chair and Representative for the Student Bar Association, and a member of Phi Delta Phi International Legal Honors Society. In her Stetson M.B.A program Heather was on the Dean's List in spring 2012 and studied abroad in Austria, traveling to Italy, France, Germany and the Czech Republic. Heather has also continually been working at Timothy G. Anderson, P.A., since June 2010, starting as a student law clerk and now as a practicing attorney.